The Linda table lamp is not only an additional light source, but also an effective decoration in the living room or hallway, plus it can be used as a bedside table lamp. 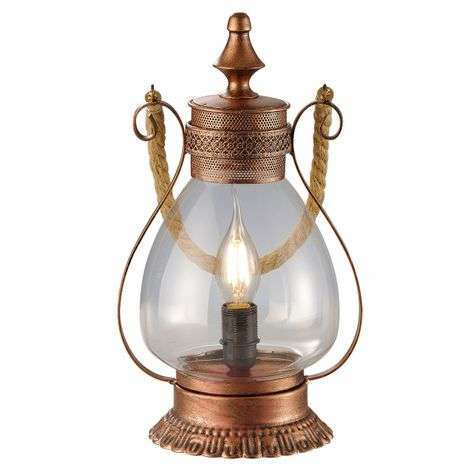 Its shape is reminiscent of a portable oriental oil-lamp in which a candle is lit. An E14 base modelled on a candle should ideally be used as a light bulb in wind swept form, in order to complete the look of a candle.